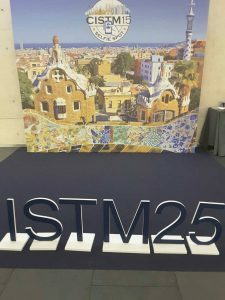 International Society of Travel Medicine celebrated 25 years of establishment with its 15th conference (CISTM 15) held recently in Barcelona, Spain. CIWEC Hospital was an active participant with 3 poster presentations, one oral presentation and a panel discussion on Traveler’s Diarrhea to discuss the new guidelines for the management of Traveler’s Diarrhea. During this conference, Dr Prativa Pandey, Medical Director of CIWEC, won a research award for molecular diagnosis of gastrointestinal and respiratory pathogens. CIWEC hospital was represented by Dr Prativa Pandey, Dr David R. Shlim, Dr Samrat Bashyal, Dr Sandeep Gupta and Bhawani Khadka, our senior nurse who is actively involved in research. The conference was attended by over 1700 international delegates and it allowed for networking among the participants among other educational and research activities. 25 year celebrations of the Society were held in the beautiful Poble Espanyol that is an open architectural museum of Spain representing 15 Spanish communities.